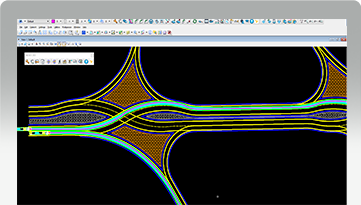 A well-designed Diverging Diamond Interchange has the potential to improve safety and reduce traffic delays more effectively and at a lower cost than a traditional interchange. DDI designers, however, are faced with the challenge of balancing competing factors, such as the footprint, geometry, safety, design vehicle accommodation and cost. This has traditionally been a manual, time-consuming and often tedious process. 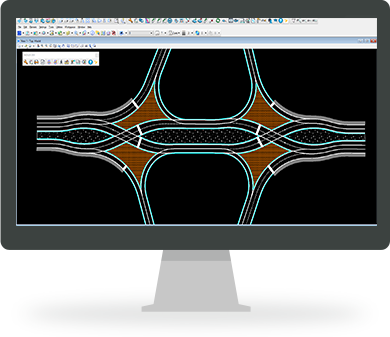 NEXUS DDI is a CAD-based tool that enables designers to quickly generate DDI geometries based on site-specific constraints, design guidelines, lane configuration, design speed and vehicles. With dynamic editing capabilities, the software provides real-time feedback of geometric parameters. Valuable design and drafting time will be saved by reducing the need for manual design methods and calculations during the DDI project’s proposal, conceptual and preliminary design stage. Watch this video to learn how using NEXUS DDI can help you to create DDI geometry in less time, with fewer errors and in accordance with the design guidelines. https://www.transoftsolutions.com/wp-content/uploads/2018/11/vehicle_movements_v1-1.png Overview EVALUATE MOVEMENTS Visualize the effect of the design vehicle movements on the DDI geometry. The software uses the proprietary AutoTURN vehicle movement algorithm. 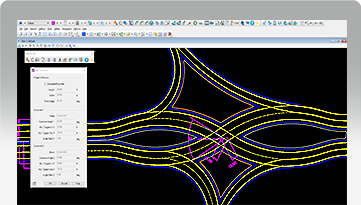 Visualize the effect of the design vehicle movements on the DDI geometry. The software uses the proprietary AutoTURN vehicle movement algorithm. https://www.transoftsolutions.com/wp-content/uploads/2018/11/median_and_eyebrow_v1-1.png Overview EYEBROW AND MEDIAN CHECK Check eyebrow and median geometries to ensure that their location and shape discourage wrong-way vehicle movements. The eyebrow and median geometries should make straight vehicle path between approaches difficult. Check eyebrow and median geometries to ensure that their location and shape discourage wrong-way vehicle movements. The eyebrow and median geometries should make straight vehicle path between approaches difficult. https://www.transoftsolutions.com/wp-content/uploads/2018/11/edit_crossover_v1-1.png Overview EDIT CROSSOVERS Change the design element values in the guidelines or directly use grip points to quickly edit crossover angles and, locations or rotate the crossovers entirely. You can also update crossover geometry by modifying the tangent lengths. All changes will adjust the DDI geometry automatically. Change the design element values in the guidelines or directly use grip points to quickly edit crossover angles and, locations or rotate the crossovers entirely. You can also update crossover geometry by modifying the tangent lengths. All changes will adjust the DDI geometry automatically. 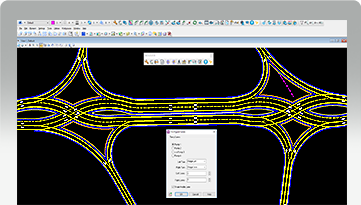 https://www.transoftsolutions.com/wp-content/uploads/2018/11/lane_configuration_v1-1.png Overview LANE CONFIGURATION AND ASSIGNMENTS The number of lanes and the lane assignments, which are typically generated through traffic operational analysis, can be graphically defined and adjusted. Easily define merging and diverging lanes. 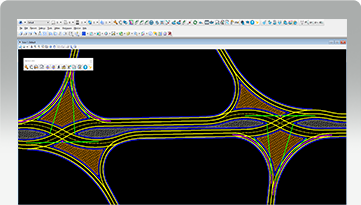 The number of lanes and the lane assignments, which are typically generated through traffic operational analysis, can be graphically defined and adjusted. Easily define merging and diverging lanes.